Paul Theroux is such an iconic travel writer that I feel almost a sense of duty to read more of his stuff. But I have a few ulterior motives: 1) In a couple months I'll be on the Trans-Siberian myself and am curious what it used to be like back in the 70's, and 2) I want to learn how to be a travel writer. I harbor a little dream of writing my own books about travel and life, and I suppose this blog is a little playground to experiment with different styles. Theroux is wildly successful, so maybe he has something to teach me. He is a stickler for detail almost to the point of exhausting the reader with them. Any new encounter will begin with a description of a man's mustache, his smell, what he was wearing. And I learned something ... details are important in a travel story. They bring the place to life, these little bits of sensory information. It made me aware of how bad I am at taking detailed notes of my encounters, how I often have to guess at what people actually said to me a few days later. Theroux is almost a journalist more than a writer. But enough of that. Is it a good book? 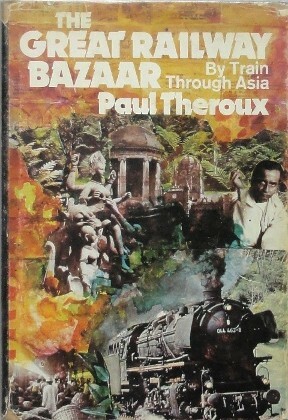 If you love the sense of adventure that comes with going to new places, and you like trains, this is the book for you. 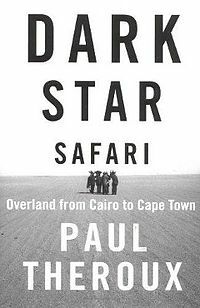 He takes an absurdly long and circuitous route from Europe, through Pakistan down to India, all the way down to Sri Lanka, back up to Calcutta, and then over to Thailand and Vietnam. Finally he takes a boat over to Japan to ride the bullet trains before heading back home on the 6000 mile journey across Siberia. He travels across the baking sterile deserts of Saddam Hussein Iraq, observes the endless crowds of poor humanity sleeping among the garbage of India (some things haven't changed), encounters prostitutes in bushes (some things have definitely not changed), and goes through dangerous southern Vietnam right after the massive US evacuation and right before the last pockets of resistance were crushed. He finds the Japanese trains sterile (I found them fascinating, like space ships), the Indian trains comfortable and romantic (but only after the fact), and is most pleasantly surprised by the luxury aboard the old Trans-Siberian. In the end, the loneliness of travel is too much and he can't get home fast enough. I suppose one thing I don't like about the older Theroux (circa Dark Star Safari) is that at the age of 60 he is clearly jaded. He has traveled too much perhaps, if that is possible, and has clearly lost that spark and pure joy of discovery that comes with tramping around a new place for the first time. Perhaps he is just too old for the sort of hard long travel that he likes to write about. So I was hoping that the younger version from 1975 might have a fresh set of eyes. What did I find? He was just as curmudgeonly and cynical back then. But that doesn't mean he isn't also darkly hilarious and sharp as a tack when it comes to assessing his constantly changing surroundings. So he's worth reading. But in terms of writing style, I think I need to find a different muse. I enjoy traveling too much.